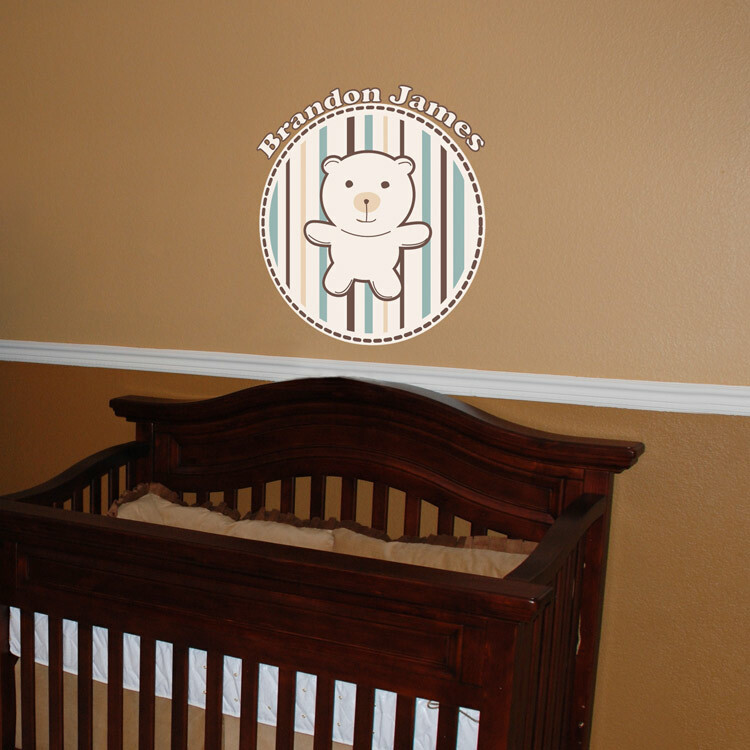 We love our sweet personalized Teddy Bear with Stripes monogram! Our Printed Decals are easy to apply and are ideal for any smooth and flat surface! If your walls have any texture, we recommend purchasing a Printed Test Decal Sample Pack first. 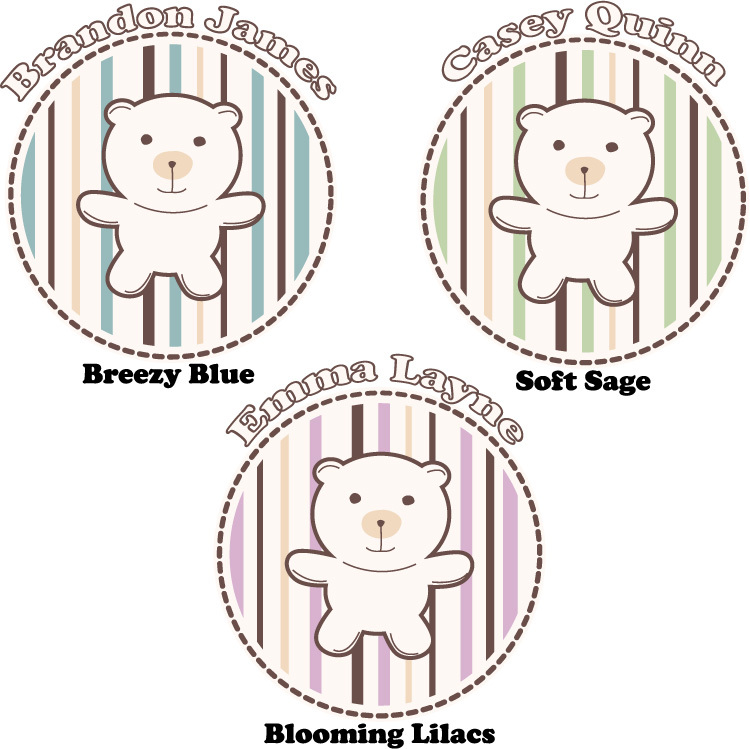 Layout as shown: Teddy Bear with Stripes measures 26.5 inches in diameter. With the name added, it measures 26.5 inches wide by 29.5 inches high. Height may vary based on the names specified. You may specify up to two names. Pictured is our Breezy Blue color combination. Comes laid out as shown for easy application!